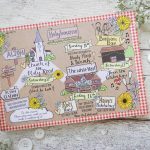 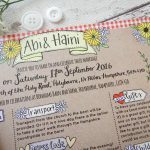 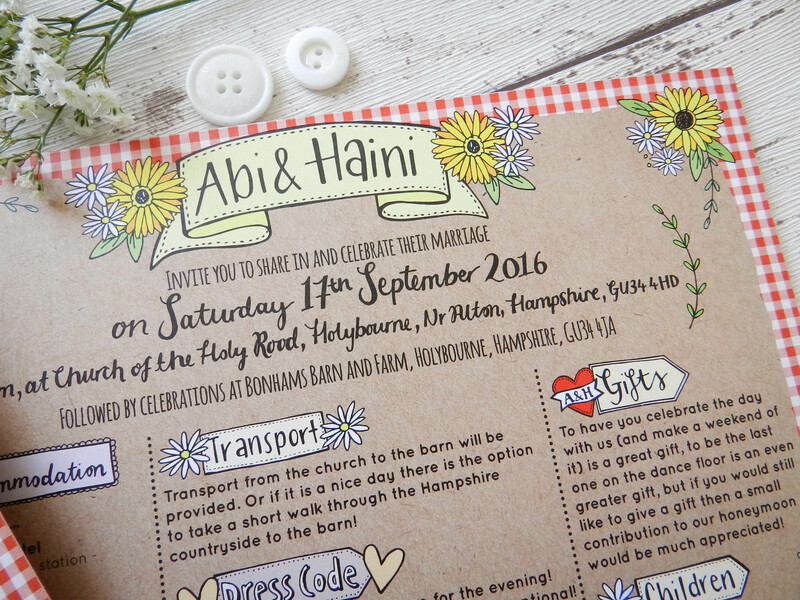 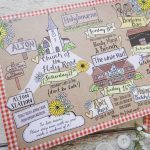 Abi & Haini’s wedding celebrations included parties before and after the big day so this invitation is almost like a map/timeline detailing the different events and where everything would take place. 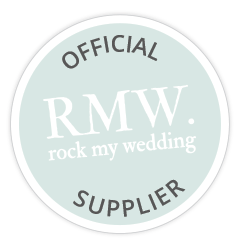 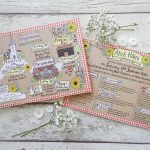 They requested a red gingham rustic theme with hand drawn sunflowers and daisies. 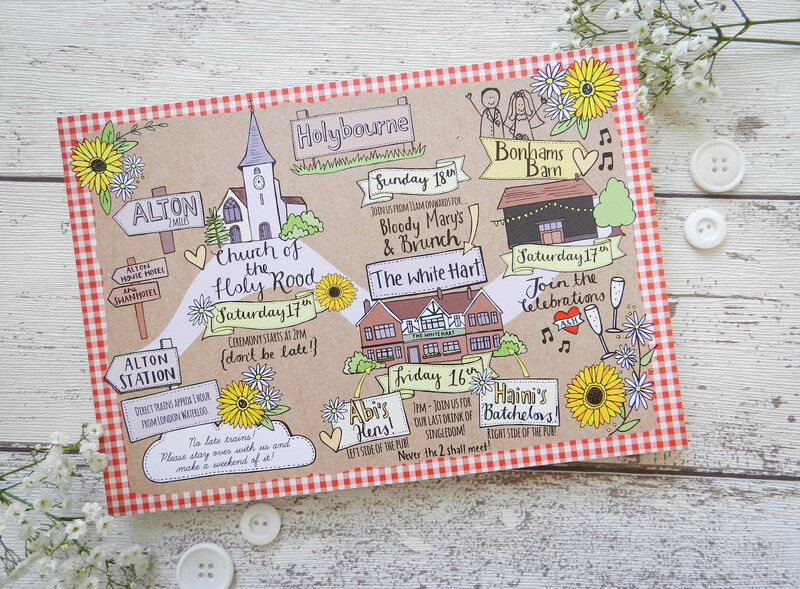 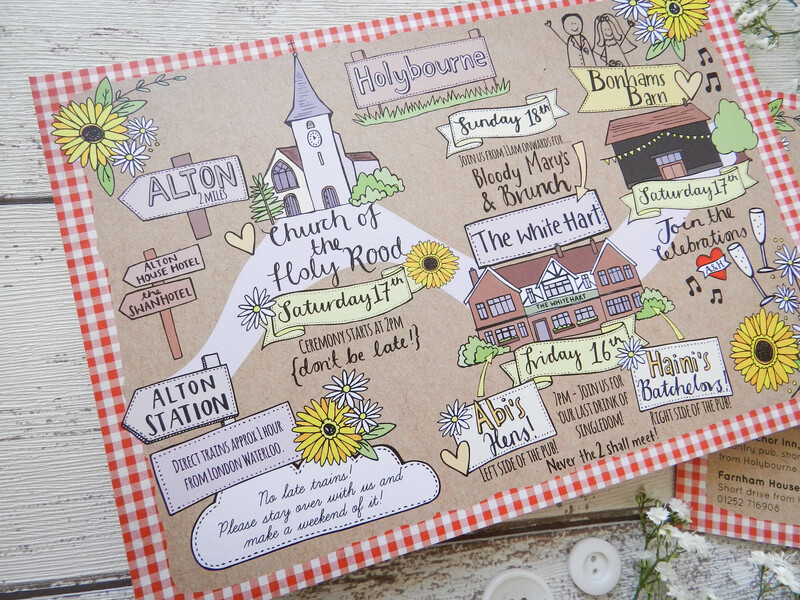 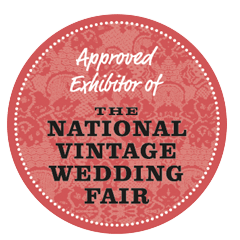 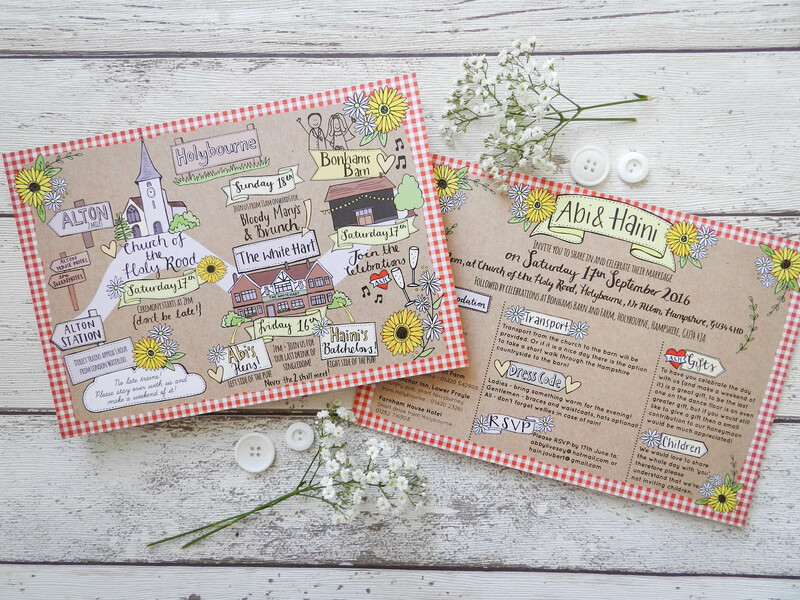 The A5 invitation featured the main illustration on the front with further wedding information printed on the reverse.